Do you ever wish your headphones could plug straight into your phone for an al-digital connection? No, us neither, though it is perhaps surprising that the Philips Fidelio M2L are the first ever to include an Apple Lightning connector. Used in place of the more traditional, analogue 3.5mm stereo jack found on every pair of headphones and every phone until now, it means all-digital 24-bit sound quality. Apple Lightning might be better, more digital, but its use on the Philips Fidelio M2L nevertheless alienates all users of Android phones. Will Philips issue a microUSB version? Given the brand’s history of providing Android phone docks in the past, it probably will. The key claim on the Philips Fidelio M2L is sound quality, with the digital-to-analogue conversion completely dropped from the process. Sounds like a great idea. 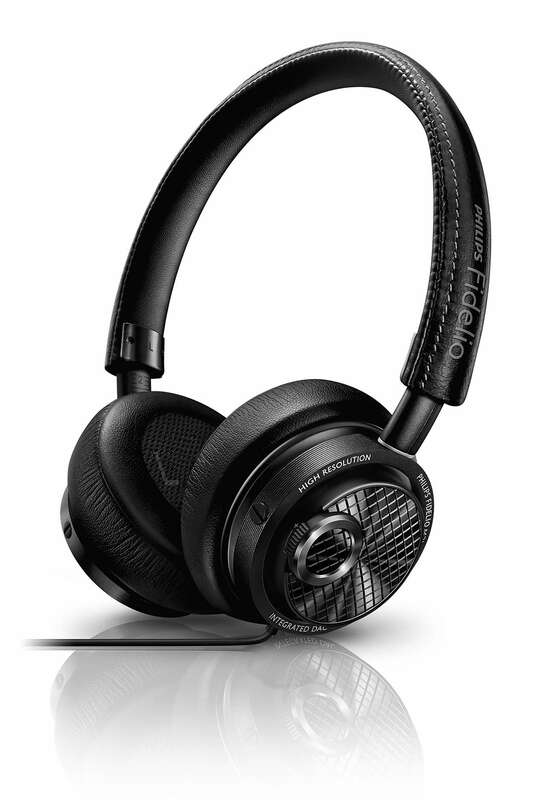 Dressed in a stitched leather headband and with mottled outers to soft inner ear-cups, the Philips Fidelio M2L’s look the part. They do deliver on sound quality, though not spectacularly so; music has plenty of punch, lots of mid-range, and bags of detail, though it lacks warmth. That’s not a deal-breaker to most users, but all travellers do need some low-frequency – it’s the only thing that can drown-out the din of aircraft, and the general hum in airports – and there’s just not enough of that here. These headphones have a 24-bit DAC built-in, but is 24-bit music worth investing in? Apple doesn’t sell it, so the chances are that most travellers won’t have any 24-bit material on their phones. You’ll have to download hi-res music apps, then side-load hi-res rather than MP3 tracks. As if most of us are going to do that. What really matters about the Philips Fidelio M2L for travel is convenience and comfort, and while these well-made headphones are handy for owners of Apple devices, they don’t really make sense. What am I supposed to do if I travel with an iPhone, and iPad and an Apple MacBook laptop, the latter of which has only a 3.5mm input? Take two pairs of headphones? The Philips Fidelio M2L also aren’t the comfiest headphones around, feeling rather tight after being worn for more than about 15 minutes. The Philips Fidelio M2L are good, but for travellers, mostly a novelty act in a niche that lacks the versatility required when on the road. ← What happened to in-flight WiFi?